CRAZY DISCOUNT! Was: $149.95 Now: $119.96! 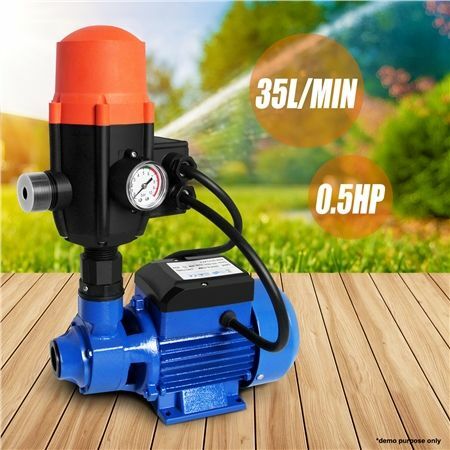 Give yourself the power of the pump with this 350W Automatic Water Pump! 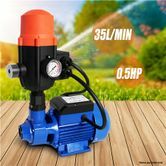 Suitable for household gardens or farming, this impressive multi-stage pressure pump is your reliable working partner. With its abundance of great, powerful specifications and features, it was built to supply a constant and stable pressure solution. With 350W, this water pump is packed with every feature that makes it perfect. Moreover, you are able to freely adjust the pressure switching to suit your plumbing - and you can use the controller for other pumps! It's a perfect tool for all your home or garden water pumping needs! So get pumping and order your new 350W Automatic Water Pump today! Great little pump that performs really well. Highly recommended. Excellent CrazySales will buy again.